Motorboat & Yachting: Bespoke French yard Dubourdieu has teamed up with renowned fashion designer André Courrèges for its latest project. This year’s Cannes Yachting Festival will see a high-profile collaboration between the world of boating and fashion in the form of the new model from Dubourdieu. The French manufacturer of custom boats has teamed up with fashion designer André Courrèges to create a one-off called White Ocean. Teak decks and mahogany cabinetry are fairly traditional ingredients, but this is offset by the use of plexiglass for the cockpit tables. 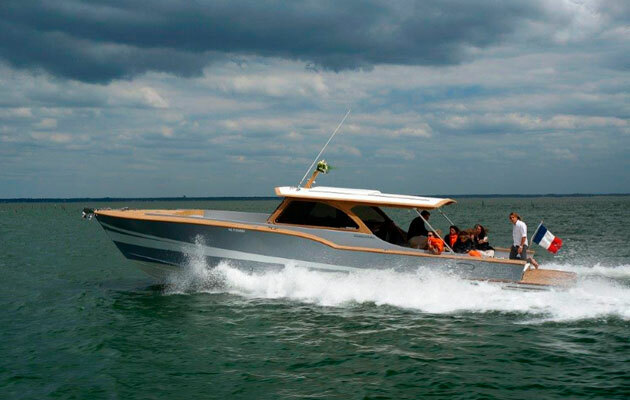 The exterior designer is reminiscent of the classic New England picnic boat design, although the helm position looks a little harsh for those who want to keep cruising after lunch. To top off the design experience, White Ocean comes with its own bespoke towels, crew uniforms and beach bags, all sporting the Courrèges logo. Engine size, top speed and price will be revealed in the run-up to the launch at the 2015 Cannes Yachting Festival (September 8-13). One of France’s oldest boatbuilders, Dubourdieu is celebrating its 210th anniversary this year. It’s collection ranges from 33ft dayboats to 39ft passenger vessels. 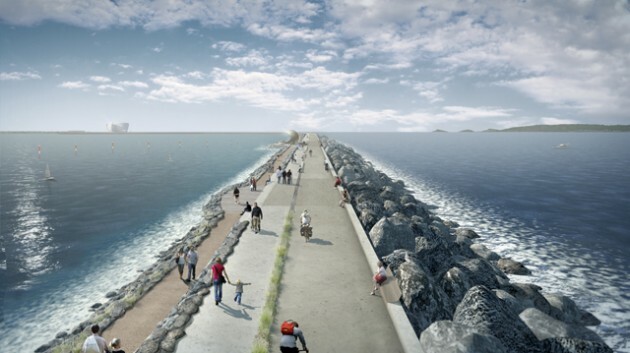 Pratical Boat Owner: Planning permission has been granted for the Swansea Bay Tidal Lagoon, the world’s first tidal lagoon power plant.